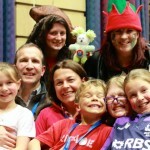 We ran a weekend Family Camp for children with serious and life limiting illnesses, their parents or carers and siblings. The camp catered for families from across Scotland and provided the whole family with a much needed respite from the pressures of daily life. We held a very successful summer club in Glasgow over 10 days in July 2014 which benefitted carers of members of Ashcraig Former Pupils’ Club, an organisation which provides a safe social environment for young adults with physical/visual disabilities. 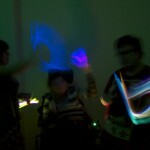 Members took part in a variety of activities such as sport, drama and art projects. 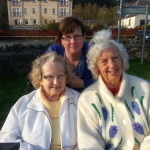 We provided two Evening Care Sessions per week with weekly outings and a monthly dining service for a full 12 months in Kirkintilloch which aimed to benefit 100 individual older people living with dementia in East Dunbartonshire whilst providing invaluable respite to over 50 carers and a further 50 family members. Buddies Clubs provide short breaks for adults aged 21-35 years with additional support needs who live in Glasgow and surrounding areas enabling their parents/carers to have overnight respite. A team originally of 8 young people, but dropping to 7 got together to learn navigation, wild camp craft, (including outdoor cooking skills), videography and canoeing skills. The events occurred in East Dunbartonshire, Glasgow, Ayrshire, Lochgoilhead and on Loch Goil and Loch Lomond. The team canoed on open water, took part in self-rescue skills, (capsize drill) and camped on remote islands on the Loch. 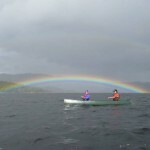 In addition a water sports based residential opportunity for 10 young people lasting 5 days was provided in Lochgoilhead. They then worked together to produce a video summary and have spoken at events to promote their activities.